Smyril Line, the Faroe-based ferry and ro-ro operator, has, together with HMU A/S, started construction works on the land-side of Hirtshals port, near the Nordsø Terminal. 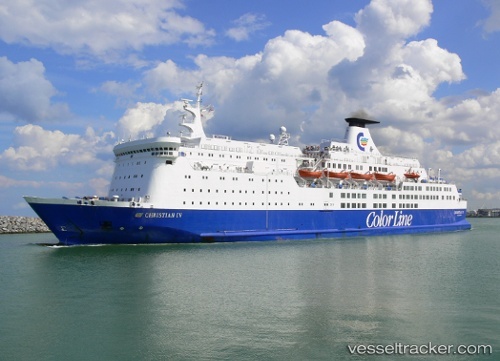 After three years of solid growth on the route between Kristiansand (Norway) and Hirtshals (Denmark), the Norwegian shipping company Fjord Line invests in a new high speed catamaran ferry. The investment will improve the Fjord Line offerings in regard of higher capacity, increased comfort, more departures and a stretched sailing season compared to the present service, the company announces in its press release. The Australian shipbuilder Austal Ships Pty Ltd has been commissioned to build the ship, which will represent a new technological standard and provide clear environmental gains on the route. The vessel will be ready to enter into revenue service from the 2020-season. The new ship will be able to carry 1,200 passengers and more than 400 cars - almost double from today's capacity. The tax-free shop on board will be twice as large compared with today’s vessel and guests will be able to choose from three exciting food concepts on their journey. A large covered floating dock at the Hirtshals Yard A/S could not withstand the storm Freja that hit Jutland in the night of Nov 7, 2015. One end of the dock was now resting on the bottom of the harbor. A ship from Esvagt inside the dock has not been damaged. Thedock was floating again on Nov 9 and seemed to have suffered little damage, but the exact amount still had to be assessed by the yard. Danish report with photos: http://www.flaskeposten.nu/nordsoekatedralen-i-knae-under-freja/#!